In the last few years there have been witnessed an increase in the demand for the concrete paving equipments all over the world including the developing countries. Most of the newly elected governments go into office having committed themselves to rapidly develop infrastructure which mainly include roads and bridges, affordable housing for marginalized people and expansion of existing facilities. The demand for the slip form pavers has been steadily increasing as a result of these infrastructural activities. 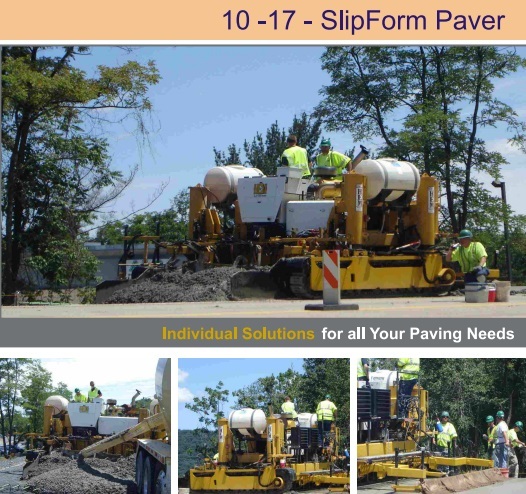 Highways constructions are growing steadily creating the demand pull for this new technology of the slip form pavers. It is estimated that there is a demand for the slip form pavers ranging from between 620 to 640 machines per annum. Industry analysts are still anticipating strong sales from this healthy increase in demand in the next three to five years. It is notable that the demand has also been supported by the demand for rental equipments and also desire by users for more efficient and productive machinery. In addition to contractors requirements to deliver high quality paving, there is the need to meet the strict deadlines issued by the governments. 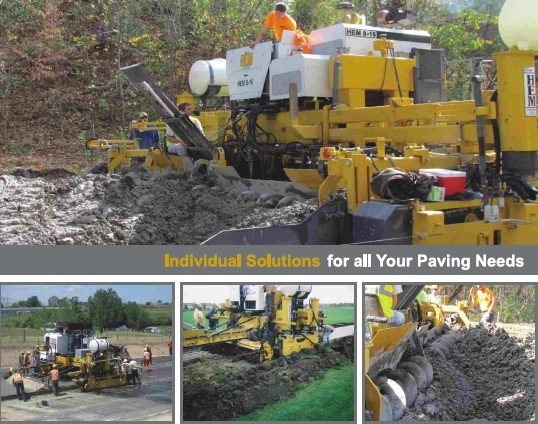 This has led to a shift from the old model equipments to the newer and more efficient slip form pavers, able to perform various activities simultaneously and also perform multiple functions for offset concrete paving in a monolithic profile, like curbs and side walk constructions, crash barriers with reinforcements, retaining walls construction and many other extra functions. The demand for slip form pavers has mainly been affected by factors such as the machine capacities, output and technological advancements. 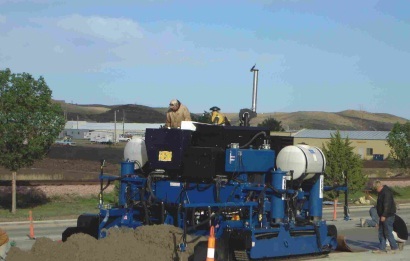 From the trends observed, the machines able to give greater output have been more preferred over the old model paving systems. Despite there being other supporting projects, like water canals, the main driver of demand still remains roads and kerbs construction. With majority of the developing countries being in Africa, this region has become an emerging market for slip form pavers India manufacturers. In the North African countries such as Algeria, the slip form paver has been successfully used to build a 1216 km, three lane highways that ultimately link Morocco, Algeria, Tunisia and Libya. With this innovative technology the project was completed in just three and a half years. In the nation of Nigeria and the state of Kogi, a new 24 km road was done using the slip form paver technology. This development set a precedent for road construction in the country. This fact is also supported by the fact that areas receiving high rainfall are better served by concrete roads as compared to the bitumen roads which would wear and tear faster. In the east African region, developing countries such as Kenya, Uganda and Tanzania have created a heavy demand for the paving equipment, occasioned by the budgets to construct thousands of kilometers of road. To enhance efficiency, slip form pavers manufactures have gone to great lengths to ensure that equipment efficiency is guaranteed. Fuel efficiency is one area of Innovation that HEM slip form pavers manufacturer has succeeded. That has served to enhance the product demand since fuel is a major cost in concrete paving. The slipform paving is a concrete molding process where concrete is dispensed into a continuously moving mold to attain the required shape or design. This technology is applied in heavy constructions such as roads, bridges and heavy buildings. The main advantage of this technology is the creation of a continuous, “cast in Place” and almost flawless structure that has superior performance over other methods such as molds and discrete blocks. They are fast, reliable and produce a much better looking surface that is equally strong. Half width pavers designed for construction of busy streets and smaller roads with limited supply of concrete, these are also used where larger machines cannot be used. 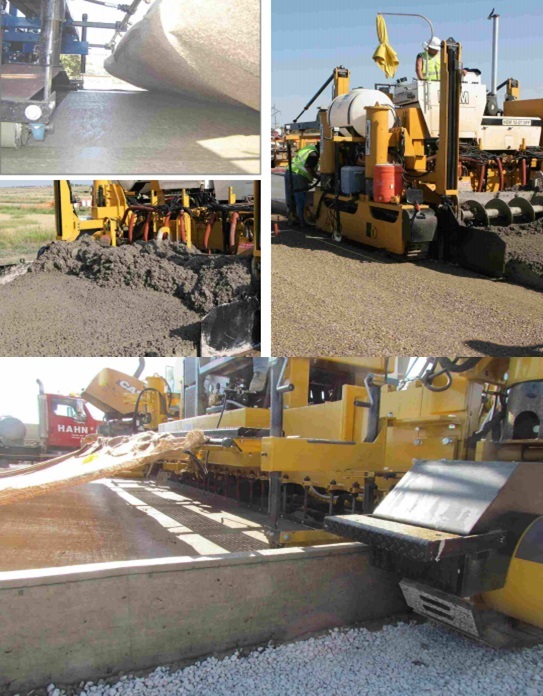 Heavy duty pavers used to recarpet massive projects such as highways, airports, and other heavy jobs. These are sturdily built to create pavements of up to 50cm thick. The slip form pavers may also be specially designed to manufacture continuous kerbs that are strong and appealing. The slip form paving technology is based on the rapid setting properties of concrete material. The technology works on a balance between the quick settings of the concrete and remains workable enough to be molded into the form. This balance is crucial to ensure the final structure is strong and durable. The concrete used in this system of paving is very similar to that used in convectional paving systems. It must have a good and uniform consistency having a slump of approximately two inches. This concrete is deposited into the hopper box from where the machine evenly distributes the material across the paving surface. The paver machine helps in achievement of a homogenousmix and compaction through a system of hydraulic or electric vibrators, while the mold helps in forming the slab to the desired thickness and width. The global demand for slip form paving technology continues to increase as more and more pavement roads are required. The market for concrete paving machines is seen to be growing at a rate of 15-20% every year and industry analysts fore see a more rapid growth by the end of year 2017.This is boosted by increasing road networks in various countries ,time bound projects requiring very high efficiency and expansion projects of airports,and residential areas. In India, the government’s plan to construct over 20 kilometers per day of road has created a sufficient demand-pull for these equipments. Some of the global leaders in slipform paver manufacturing includes Apollo Inffratech. Slip form technology is one of the revolutionary cutting edge technologies in building and construction industry. The slip form paver greatly improves the quality of pavements and reduces labor costs. The machine utilizes low slump concrete that has limited flow and therefore tends to remain at the same place without the need for erected concrete formwork. Therefore, the placement, consolidation and surface finish are easily done. The machine works using the extrusion process. The extruders squeeze concrete in the mold that has the predetermined shape. The squeezing action forms and consolidates the concrete. 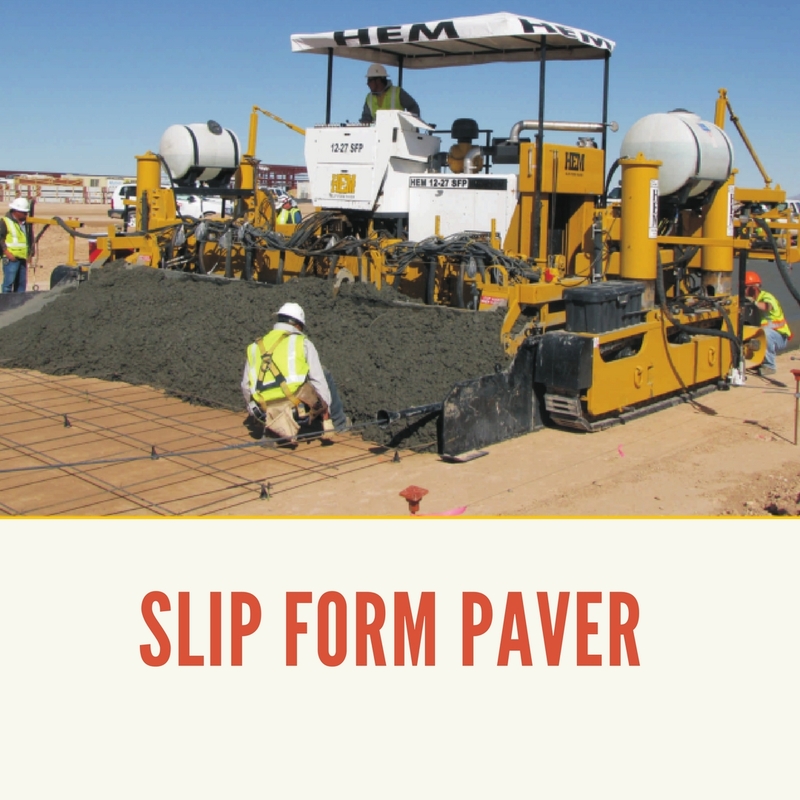 The slip form paver provides vertical and horizontal force. The weight of the machine pressers the concrete against the mold sides from the top. The horizontal forces are created by the tapered side forms. In addition the continuous movement of the machine presses the confined concrete. The vibration process fluidizes the materials enabling them to spread and consolidate. The most critical elements of this machine are; the auger or a paddle which uniformly distributes the concrete, the hydraulic powered tamper bar for consolidation and the profile pan which is the finish tool. In addition, the internal vibration created by a set of hydraulic vibrators is critical since it fluidizes the concrete allowing it to spread evenly, removes internal voids and allows slipping which is critical in slip form equipment. The paving width is of critical importance as it determines the span of the road or pavement. The width is defined as distance between 2 crawler tracks. Typical machine widths range from 2, 5, 8 meters while larger ones can go up to 18 meters width. Other critical features of these machines include: number of hydraulic vibrators that range from 8, 16, 24 onwards, the hydraulic circuits, high efficient diesel engine, power washing mechanism, hydraulic adjustable sides, hydraulic steering , fully operator panels with sophisticated controls among other features. This technology is suitable in large construction projects for bridges, roads, pavements and open water channels. Unlike other paving technologies that require erecting formwork, pouring concrete, ramming using vibrators and curing; this method only uses a machine that continuously forms the structures. These machines are the most ideal for large-scale pavements such as those in airports and highways. Since these tracks are subjected to extremely heavy pressure and loads, the concrete must be made without irregularities. Unlike prefabricated concrete, slip form can be made to any profile and hence suitable for sewage and water channels, safety barriers, raised edges at road side. Paving moulds can be made to customized shapes that produce a variety of low tolerance, smooth surface and easy to maintain concrete pavements. Some machines have the capabilities of double layer forming as opposed to single layer which saves time. They are economical as it uses small diesel engine to provide power which is amplified by hydraulic system. This is also environmentally friendly and the operator safety and ergonomics are guaranteed. As industrialization and commercialization continue to increase, more pavement and roads are required in commercial, residential and industrial establishments. This is set to increase the demand for these heavy duty concrete machines by construction companies which in turn use them or hire them to other firms.